Breath Of Life Daily: This is my confession: I'm a Preacher's Kid, too. This is my confession: I'm a Preacher's Kid, too. I read with interest my fellow BOLD writer Carmen Fletcher's "Confessions of a Preacher Kid: Chelsea Stanton". I can relate. Me, too. I actually come from a long ministerial line; my great-grandfather, Clarence, grandfather, Joseph, and grandmother, Bernice, all did pulpit time. In addition, my dad, stepmom, an uncle and a couple of cousins are carrying on the family legacy, and my brother most recently felt the call. I, on the other hand, have no intention of donning any robe other than for the bath. The other day, I was e-chatting with a friend from Chicago, who is also a PK. In the midst of decscribing her incredibly busy life, she mentioned belonging to a group of atheists/skeptics. Yesterday, while working on a post for my blog, my interview subject, a NYC vegan chef, shared how her grandfather was a pastor, but how she no longer belongs to any particular religion. She is, in her words, highly spiritual. Was the son of a preacher man/ The only boy who could ever teach me/ Was the son of a preacher man". Common raps in "Go", "Freaky like a daughter of a pastor/ said I was bait for her to master/ Little red corvette now she was faster". In pop music parlance, PK is short hand for undercover freak. Carmen writes of the "common perception of Preacher Kids is that they are symbols of perfection...". Are we naughty? Are we nice? Speaking as a PK, I'd say, we are both. Some of us are ministers. Some are atheists. Some don't like such labels. Some like to channel Prince and be that little red corvette. I, am quite comfortable, as previously stated, in my yellow bathrobe. As I've grown older, I've learned to value some of the aspects of being a PK, such as being fluent in Christianese, having a boatload of Scriptures imprinted on my brain, and being able to sing the great American Christian Music songbook off the top of my head, from "At The Cross" to "I Am a Friend of God". On that last point though, please remember I said "sing" not "sing well". I don't wear choirrobes, either. If I could give any advice to fellow PKs, it would be, like Chelsea, to make your own path in life. 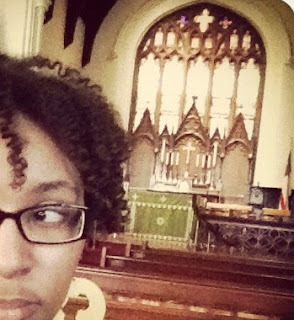 Although I'm a Christian, I haven't been a member of any of my family's churches since I graduated high school. Know God for yourself. Figure out what you believe and why you believe it. And lastly, try to cut your parents some slack. So they forced you to usher/lead youth group/teach Sunday School/go to Vacation Bible School. They aren't perfect, and neither are we. Excellent post Alisha. I am not a PK but I do know of some who are made to feel like they need to be seen as perfect and others who just live as themselves. Your closing thoughts verberated within.Those are "know God for yourself. Figure out what you believe and why you believe it." God bless sis! Continue to be a gem for the kingdom. Thank you, Maleeka! The know God for yourself is advice from my mom, a believer but not a minister. It always echoed in my head as truth and I believe it even more as I get older.